The resurrection celebrated every year during Christian Easter is available to all human beings, and can be experienced any time in one way or another. The sad old Christianity of dogma, guilt and intolerance must give way during the 21st century to a new spirituality that is inter-religious, philosophical, optimistic, and aims at building a better future. For that to occur, Christian tradition and other religions have to undergo a sort of death, and a rebirth. Spiritual discipline is unavoidably hard to anyone who wants to tread the mystical path. Yet it is not made of sadness or dogmatism. It combines inner freedom, self-responsibility and contentment. The very foundations of Christianity are pagan, pantheistic and ecological. The main holidays in the Christian calendar are adaptations of non-Christian festivals celebrating the annual relation of the Sun to the Earth and other natural cycles. Easter, for instance, is celebrated near the Spring Equinox of Northern Hemisphere, and near the Autumn Equinox in the Southern Hemisphere. At this time of the year, day and night have the same duration. After Easter, the balance between light and shadow is broken in favor of the sunlight in the Northern hemisphere. For this reason, Easter is traditionally seen as the moment of a new beginning and as something that gives way to the reappearance of life in every dimension of Nature. Up to 19th century, it was still the custom in some regions of Europe to go outdoors in the early hours of Easter Day and observe the Sunrise. It was believed that the King Star then danced with joy just above horizon, celebrating the new yearly predominance of light. In the Southern hemisphere, where the Easter celebration occurs near the Autumn Equinox, the moment opens the path to winter: the rebirth indicated by Easter is then not external or physical. It is inner, spiritual. It requires renunciation and acceptance. At the end of the year, Christmas is also a pagan event adopted, and adapted, by Christianity. The birth of Jesus is celebrated in the winter Solstice, the culminating point of the cold season, the time of the year when the night is the longest. It is after the winter solstice (20-25 December) that the light ceases to lose energy in the yearly cycle and once more little by little recovers its intensity, from the point of view of the countries situated above the line of Equator. In ancient pagan Rome, December 25 was dedicated to the festival called “the birthday of the Unconquered Sun”. It was only by the middle of the fourth century, Christian Era, that the date was adopted by Christianity to celebrate the birth of Jesus, “the Sun of Justice”. Although Francis of Assisi became famous for his pantheistic view of Nature, long before him the book of Ecclesiasticus, by ancient Jewish author Joshua ben Sira, exalted the lightning, the snow, the clouds, the birds, the mountains, the wind, the desert, and saw them all as external aspects of the one divine universal process. To the esoteric philosophy, the humanization and personalization of cosmic intelligences is a way of producing metaphors or symbolical images. The whole universe is an unlimited, intelligent ecosystem. 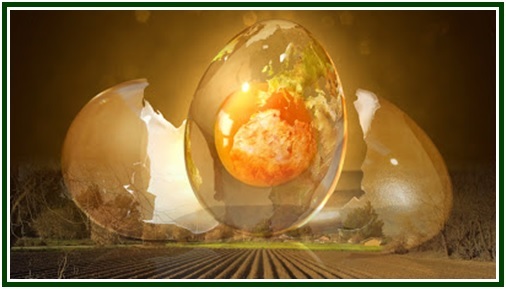 Easter, therefore, corresponds to the spiritual rebirth of all beings as part of the annual cycle of life. For those who live in the Southern hemisphere, the Spring Equinox and the physical rebirth take place far away from Easter, around 23rd September. In this time of the year, every form of life gradually comes back to more intense levels of activity. As to the Christian Easter of Southern hemisphere, it occurs during Autumn and is symmetrical to the springtime Easter in the Northern hemisphere. The Southern Easter announces the winter, and produces the same inner purification. As life starts to move away from physical plane, it flourishes and spreads in the spiritual realm. Before an inner rebirth occurs, there must be death, loss, renunciation, austerity, or “tapah” in Sanskrit. Forty days before Easter, at the culminating point of difficulties and cold weather in the Northern hemisphere, the Lent and fasting begin. The word “Carnival” comes from medieval Latin term carnelevarium, which means “to leave meat aside”, or abstaining from eating meat. One first conclusion one can draw from the episode is that Easter must not be excessively explored as a commercial event. There is nothing wrong with buying and selling. What one must avoid is any confusion between commercial activities and the search for sacredness. The idea of commerce in this passage is also symbolical. It refers to every search for profit or personal advantage at the expense of someone else. The temple is the inner conscience of each individual. The “merchants” to be “expelled” are greed, fear and selfish ambition. The true Easter takes place in the world of the soul, and in order to experience it one must abandon all search for personal benefits, material or subtle. Easter celebrates the inner rebirth which comes after the lower self decided to stop behaving as if it were the only center of the universe. And this occurs because it discovered the eternal blessings that are beyond short term personal illusions. The Gospel then adds that Jesus is not referring to the external temple, but to his own body. The physical body of every human being is a sanctuary and must be respected. A divine spirit, an immortal soul dwells in it. Such a shrine may be destroyed, since death is a natural necessity; but it will be built again, because to each death there is a corresponding rebirth. Just as Pythagoras and the Eastern wisdom, esoteric philosophy says that reincarnation is a law. There is therefore in the teachings of the New Testament an esoteric (inner) aspect and an exoteric (external) dimension, “for them that are without”. A central condition for students to have access to the inner aspect of the teaching is the practicing of its lessons in daily life. The sacred scriptures of different traditions are collections of myths and parables which must be interpreted. They are like wide fishing nets thrown by souls’ fishermen to the open ocean of our humanity. Such a “fishing” brings into the inner circles those who have the right degree of discernment and continuously try to practice what they learn, in a gradual yet growing way. The apprentices live in harmony with the teaching and slowly acquire “the eyes to see” and “the ears to hear”. Little by little the spiritual wisdom forms a sort of temple in the disciple’s mind. This inner shrine must be protected from short term oscillations. The birth of the Master, the fact that he was betrayed by someone close to him in an act that led him to death, to resurrection and to the promise of a “return”, are all points which coincide with an Egyptian legend much older than the Christian gospels; the legend of Osiris. And there are other elements which Christianity took from Egypt, as we shall see. Jesus taught the resurrection and described it as something that someday will be available for those who follow the “narrow path”. What exactly is “resurrection”, then? There are various levels of answer to this question. On one hand, the great resurrection constitutes a long term project. It is the complete spiritual liberation, the definitive enlightenment reached only by great sages after they tread, like Jesus, “the entire Cycle of Initiation”, a journey involving various incarnations. On the other hand, there is also a variety of resurrection which is but one step ahead of us. One can experience it in small scale in whatever stage of development we are. This is the small factor that makes the difference. The long journey must start with a small step taken where the pilgrim is, and in no other place. The initial measures to be taken depend on each individual, and every step is always the first in the extensive travel. The long cycle of initiations must be experienced in small scale in daily life, because microcosm reflects macrocosm. The solar system is present in every atom. The path to self-knowledge has its accurate summaries in a day of 24 hours and a seven days’ week. The rest taken during a night - or a weekend - is like resurrection. The celebration of Easter - certainly an inter-religious tradition older than Judaism - constitutes a living evidence that the evolution of the soul takes place in communion with the annual cycle of the Sun, and coincides with the cycle of great initiations taught by Eastern wisdom. The Easter eggs are inherited from pagan spring festivals in the Northern hemisphere. They symbolize the rebirth of life in all its diversity. The presence of a rabbit or bunny in this “festival of regeneration” belongs to Egyptian culture. A hare was a symbol of fertility and represented the periodicity of natural life-cycles. According to tradition, the bunny hid Easter eggs for children to look for them. Children are associated to Easter because they are undisputable symbols of life as it starts again. The soul of every human being is like a child until the end of his existence, for there is always something essential in him that is being reborn. When an individual becomes aware of this, he experiences in a more direct way the permanent spring hidden in each one of the four yearly seasons. He can better distinguish then also the longer cycle of four ages that will make his lifetime complete. Autumn symbolizes maturity. Winter corresponds to old age. Spring is childhood, and summer, youth: the four ages are equally important. It is not enough to be like children, in order to have access to the kingdom of heaven or nirvanic consciousness. Enlightenment means living simultaneously the four seasons of the year, every day. One must combine the confidence and the ability to learn, which characterize Spring, with the strength and courage of Summer, which corresponds to youth. The common sense of Autumn and the wise and humble renunciation of Winter are necessary. The entire cycle is sacred, and each Easter celebrates its wholeness. “The Mahatma Letters”, TUP, Pasadena, California, USA, 1992, 494 pp., see Letter XLIX, p. 283. The legendary nature of Christian Gospels is demonstrated by Helena P. Blavatsky. The reader will find a revealing comparative study of the legends about the lives of Krishna, Buddha and Jesus in “Isis Unveiled”, H.P.B., Theosophy Co., Los Angeles, volume II, pp. 537-539: “The Legends of the Three Saviours”. A thorough report on the “pagan” sources of Jesus’ legends can be seen on pp. 533-567 in the same volume II. Plato, “Apologia de Sócrates”, Introduction by Alceu Amoroso Lima, Edições de Ouro, RJ, Brazil, 16th edition, 138 pages. “Reply to the Mistaken Conceptions of the Abbé Roca Concerning My Observations on Christian Esotericism”. The text is included in “Collected Writings”, by Helena P. Blavatsky. See volume IX, TPH, India, 1962, 488 pp., page 225, footnote. 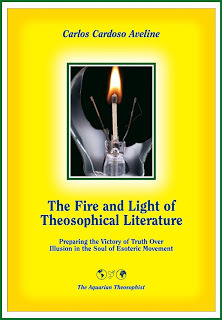 “Isis Unveiled”, Helena P. Blavatsky, Theosophy Company, Los Angeles, vol. II, p. 286. The above text is a translation from Carlos Cardoso Aveline’s article “A Páscoa Como Renascimento Interior”, also available in our associated websites in Portuguese language. See the texts “Jesus Christ, the Warrior of Truth” and “If Christ Coms Back this Christmas”, by Carlos Cardoso Aveline; “Easter: a Time of Reawakening”, by Steven H. Levy; and “Christmas Then and Christmas Now”, by Helena P. Blavatsky. They are available at our associated websites.